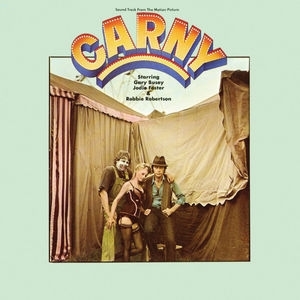 The 391st Soundtrack of the Week is Carny, which has music by Robbie Robertson and Alex North. The music is split into two parts, with Robertson coming up with source music for the carnival itself and North writing the underscore. Apparently North was Robertson's first and only choice and came out of retirement to do this. The songs and instrumentals on the midway side are really good, featuring some of Robbie's guitar playing and Dr. John on organ. North wrote some typically interesting, enchanting and beautiful music for his half. This is an unusual record but a lovely one!